Here at Cherokee Distributing Company, we’re always listening to customers and staying on the lookout for new brews to bring to East Tennessee to whet their appetite. But like our fellow distributors and brewer friends in the industry, we face a big obstacle in attracting and providing beer options in Tennessee: the beer tax. Tennessee has the highest beer tax rate in the nation. It’s 12% higher than No. 2 on the list, Alaska, and it’s rising higher every year. The current law was enacted in the 1950s and hasn’t been changed since, taxing beer based on price rather than volume. Tennessee is one of only two states in the country that burdens businesses – and therefore consumers – by taxing beer this way. Why does the beer tax ultimately burden you, the consumer, as well? It drives up beer prices. It limits the beer choices available to you by driving products off the shelves. It discourages craft beer entrepreneurs from building their businesses in Tennessee. It gives Tennessee a bad rap as the nation’s top beer taxer. As beer fans, we’d all love to enjoy more (and affordable) choices and support more craft breweries. As Tennesseans, we want to encourage businesses to locate and grow in our state, boosting our economy. So what can you, the beer fans of Tennessee, do? 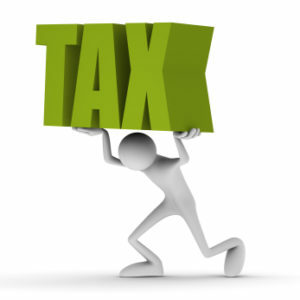 The Beer Tax Reform Act of 2013 has been introduced in the Tennessee General Assembly as reform for the heavily burdensome beer tax. This reform will fix the antiquated law and make the tax fairer for consumers and local brewers. If you support the Beer Tax Reform Act, we encourage you to contact your elected officials and let them know that you want them to support this important legislation for the state of Tennessee. To contact your legislator and to learn more, visit http://www.fixthebeertax.com/. There is a very simple tool available that will allow you to send a message to the appropriate legislators directly from the site. You can also learn more from this local Knoxville News Sentinel blog post as well as this industry article from Craft Brewing Business. And, you can help spread the word. Share this blog post and the Fix the Beer Tax website with your friends, family and colleagues. Post it to Facebook. Tweet about it. Share an Instagram photo next time you’re enjoying a cold brew and let your friends know about the tax that ales Tennessee. With your help, we can change the beer tax and give businesses, breweries and beer fans something to “cheers” for in Tennessee! UPDATE: Gov. Bill Haslam made beer tax reform official in Tennessee on April 23, signing a bill into law that freezes the way taxes are levied on wholesale beer sales. The tax will now be based on volume rather than price. Purchasers had been paying more taxes on the same volume of higher-priced craft beer than they would for lower-priced options, but the new structure makes the 17 percent tax flat for all beer sales, based on volume. Customers will then pay 9.75 percent in sales tax on top of the previous charge. Cherokee Distributing Company thanks all of our friends and customers in East Tennessee who supported Fix the Beer Tax in our efforts to reach this accomplishment and reform the antiquated beer tax in this state. Cheers to a big success!